Developing a meaningful retirement planning tool came about through my research into the retirement concerns being faced by the growing number of baby boomer retirees. These problems are not going away … in fact they are growing, and will continue to grow for at least the next 20 years. These will not be helped by current government's knee jerk reactions to problems caused by their predecessors. They are potentially placing today's financial burdens on future generations. Unless there are some drastic changes these future generation liabilities will grow as the baby boomer population ages and places a greater financial load on both the social security and medical health systems. Already countries like Spain, Portugal, France and the UK are being forced to confront these conflicts head on … and there will be many more to follow. So out of all the concerns I developed a practical retirement planning checklist. A simple retirement planning tool that should be used by anyone involved in the challenging and difficult task of planning for retirement. When I initially started sharing this advice with my friends and family it was a real eye opener! Many had never sat down and actually thought about retirement or done the numbers. They had never considered how much money one needed to live through their expected life span. Other people just thought things should be fine! And others thought that they should be looked after by the government. But looking at the numbers that looks a very unpredictable option! ​I realized just how many people were going to be affected and how many of them didn’t know where to turn for advice and support and I knew that I could help. Provide the necessary first steps and then to provide ongoing support and guidance as they progressed on their retirement journey. The retirement planning tool is a simple methodology which includes the most important things you need to consider when planning your retirement … issues as you start down your path to a planned successful retirement! Be prepared as there are going to be many pitfalls and hazards along the way. This vulnerable retirement market is being targeted by a growing number of 'get rich schemes' and 'instant solutions'. Also keep in mind that it's not the plan that's so important … it's the planning. The thinking and understanding. As you make your plan write it down so you can review it in future. The most important thing to acknowledge is that this is your retirement plan. No-one else can do it for you. So upfront take personal and total responsibility for it. Clear any confusion in your mind about what "retirement" really means to you. Be as specific as you can. This is an event that could last for 20 to 30 years, and even longer, and will no doubt have a number of stages. Understand this and think about how these stages may evolve. Retirement planning software is often touted as a complete retirement planning tool. Unfortunately, as attractive as it looks, "plug and play" just doesn't work with something as holistic and complicated as retirement. It requires a good dose of careful and creative thinking. Retire with a purpose. For many people it will be necessary to carry on for a number of years earning money. For others the thought of just staying at home and losing the social contact and feeling of making a contribution in a work environment is very unappealing. For others it may be just' giving back' to society in whatever way they choose. Clarify your plan with regard to legacies. Do you believe that you have an obligation to leave something to your children? Are you prepared to sacrifice your retirement lifestyle to provide these? Think about your planned lifestyle, or lifestyles, through your retirement. How will you manage to do all those things you've always dreamed about? Accept that the world is changing and will never be the same as it was in the past. Embrace the change, be flexible and adapt as things change around you. Take a moment to be nostalgic but don't use this as the basis for your retirement planning … it will turn out to be wishful thinking. Use your imagination and think of adventurous opportunities … all the things you wanted to do and never did. Get rid of the physical and mental baggage which may have held you back in the past. Even in these difficult times the world is filled with opportunities. Open your eyes and see them and don't let them drift slowly float past. Health is going to be a critical factor in your later years. Costs are going to increase. You are going to be swamped with all the latest long life, great health, no aches and pains, anti ageing spin that can be created in the commercial world. Once you have considered the above you can start ​the financial part of the retirement planning tool. Finding sources of reliable, objective and qualified information. Try and recognise the difference between what is "expert advice" and what Nassim Taleb calls "experts.... who are not experts". Tax law and financial structuring are in the first category and most "financial estimates (guesses)" in the second. Be assured by knowing that with this retirement planning tool you will have an overall framework for your plan. It will help you to reconcile your desires and aspirations with your resources. 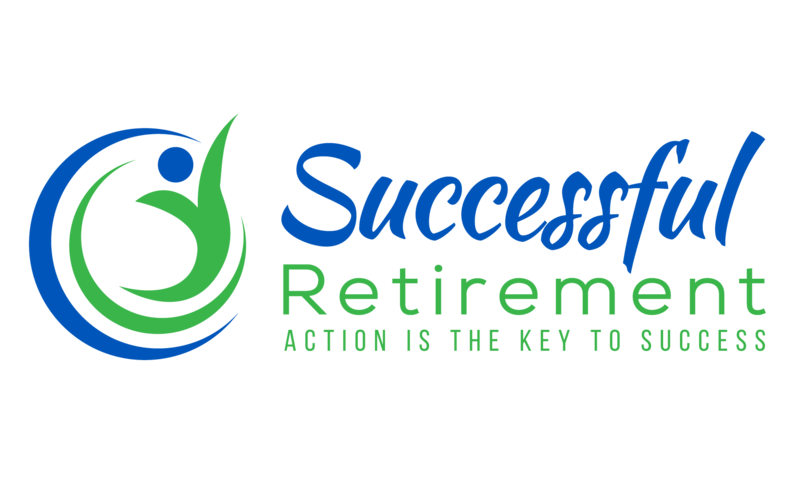 It is up to you to make it happen, or accept it and live your own successful retirement.